Crafting is always more fun and more meaningful when it’s shared with those you love. 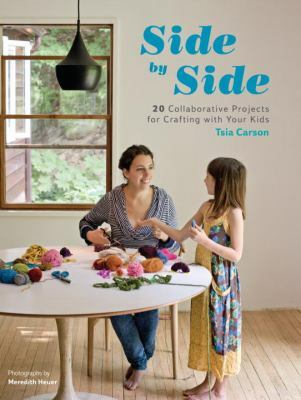 Discover the joy of working alongside your child while creating arts and crafts that inspire in Side by Side by Tsia Carson. 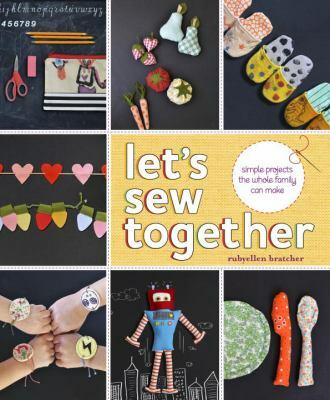 With these twenty whimsical projects in a variety of mediums, you and your child will find fun ways to work collaboratively and independently – together on the same project, or side by side on related projects. Create Giant Newspaper Snowflakes that take traditional paper snowflakes to magical new levels. Create surprising monoprints that take glitter glue to new heights. Explore the versatility of embroidery with a child-friendly version that uses a leaf as the canvas and a more advanced version that uses a child’s drawing for stitching inspiration. Get out in the garden and plant a Living Willow Teepee that will be a perfect playhouse and retreat for years to come.